THE GHOST OF YOU IS WHAT HAUNTS ME is a solo exhibition by Philadelphia based artist and Bunker resident, Eric Anthony Berdis. Interested in the performative nature of clothing, t hrift store castoffs and loud sequined materials have been reassembled by Eric to create uniforms for a dystopian queer world. 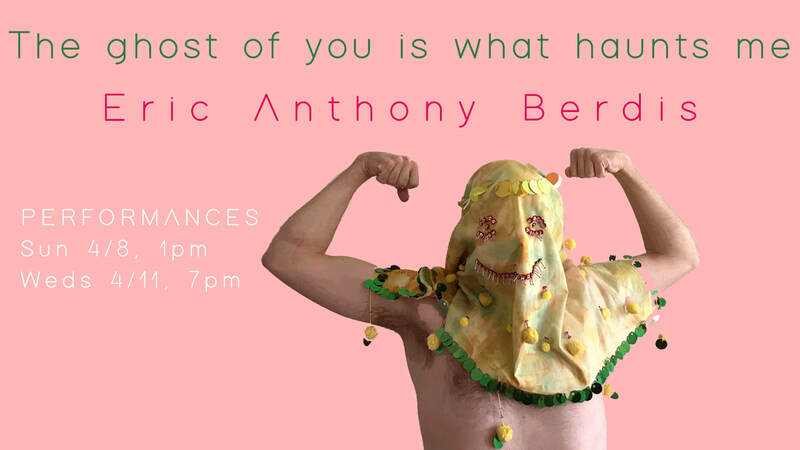 ERIC ANTHONY BERDIS is a Philadelphia based artist and curator exploring craft, performance and the intersections of DIY culture through theories of gender and sexuality. Eric ongoingly supports DIY culture as a curator and Zine Librarian of the artist run space Little Berlin and has exhibited work through solo exhibitions and performances at Random Access Gallery (Syracuse, NY) Practice Gallery, (Philadelphia, PA) and the Baltimore Artist Run Art Fair.